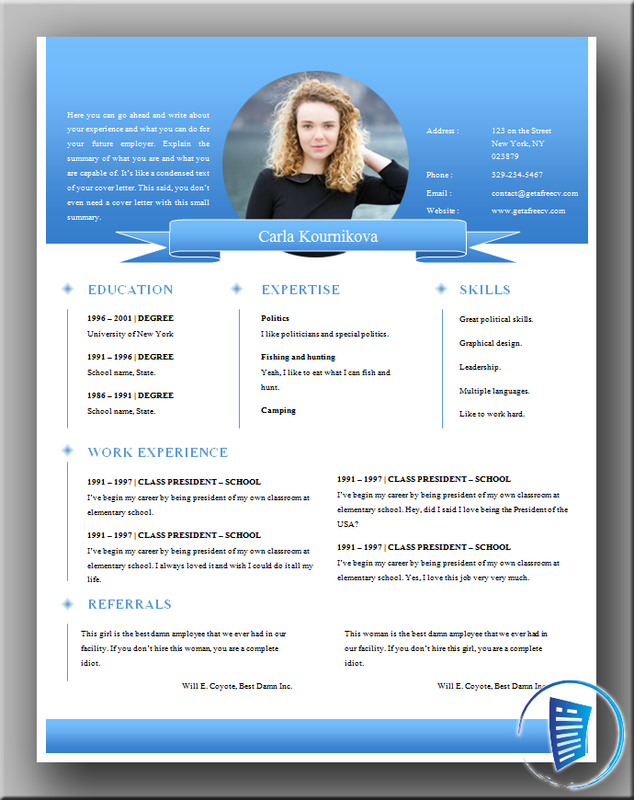 For the year 2019, this new perfect CV example easily adapts to most profiles. For example, the structure of this resume template is able to effectively communicate your professional skills. But also your personal qualities. This CV has a large space where you can highlight your career goals. This is an aspect that reflects your determination. The blue tones are associated with seriousness, professionalism and responsibility. This is a perfect CV example for those candidates seeking management positions in a company. Moreover, it will fit all applications. 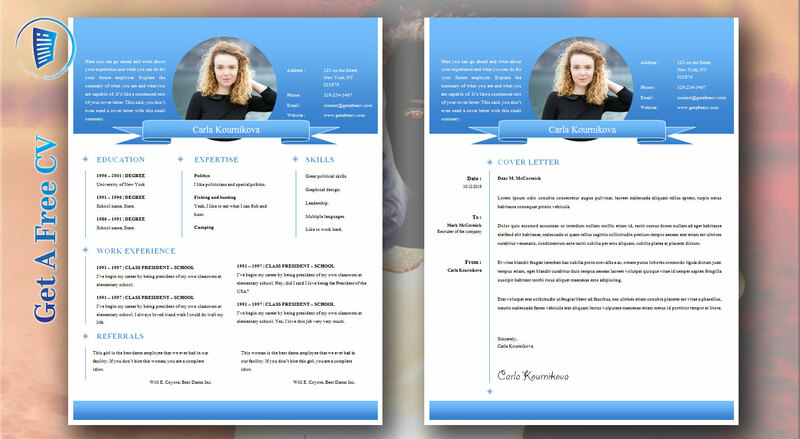 Above all, this resume manages to convey a lot of information about your profile in a direct and concise way. Meanwhile remaining attractive to the recruiter. 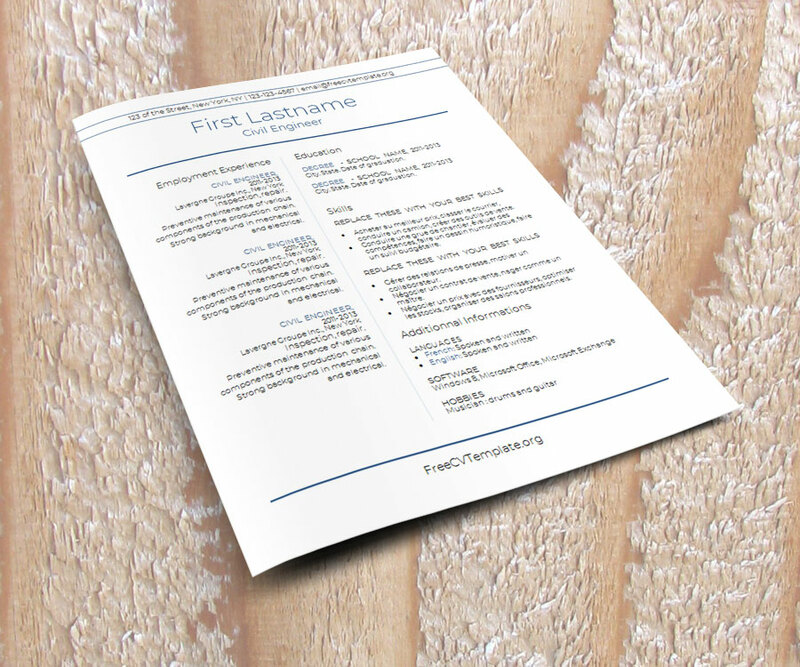 This is what your resume should look like on the hiring manager’s desk. Get the file in MS Word format simply by clicking on the download link right next after the following image. 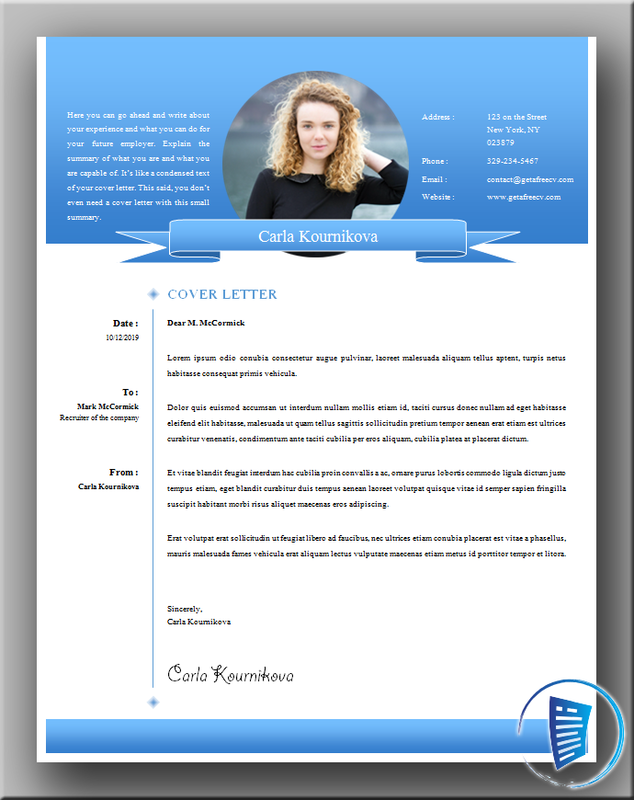 We created a matching cover letter for this template. Simply click on the download button to get the file in MS Word format.